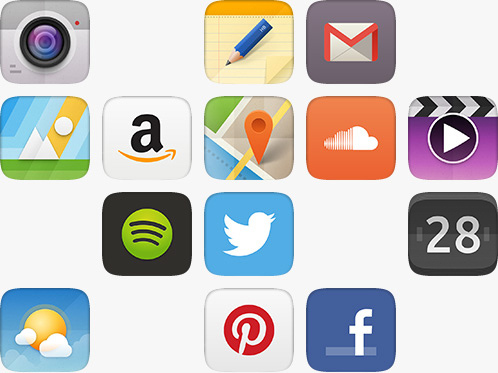 We’re working closely with selected partners to get their apps onto Ubuntu; Facebook, Twitter, Dropbox, Evernote and Amazon will be available at launch. 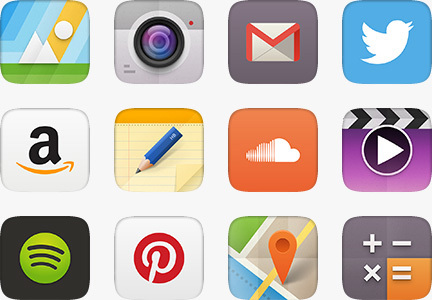 We have also built an expanding set of core native apps with our community. And with our API, thousands of Ubuntu developers are taking up the challenge of building a single app that works across web, desktop and mobile. From browser to camera and everything in-between, Ubuntu has an excellent selection of core apps that have been designed, built and tested entirely by the Ubuntu community. With guidance from Canonical engineers and designers, they’ve been planned and developed in the open from the start, which means consumers benefit from the ideas and talents of a global pool of creators. Out of the box you can expect everyday apps such as Calendar, Clock, Calculator and Weather, joined by games like Sudoku and Dropping Letters. You’ll even find power tools like Terminal and File Manager. Web apps are first class citizens on Ubuntu. Any HTML5 app can be adapted with ease. Additionally, we are working with cross-platform development frameworks like PhoneGap to make these apps work with Ubuntu. 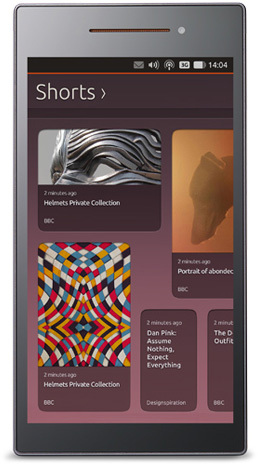 And you can quickly adapt any web site to be installed as a phone app, with its own icon and access to system services. The QML toolkit and a sample application are available for download today, so there’s no better time to get started. Developers can use Ubuntu’s scopes to highlight content. Less chrome and controls gives you more space on the screen to make it stand out, and scopes’ strong visual presentation and easy navigation make discovery fun for the user. Through browsing and searching, scopes can get your content seen. 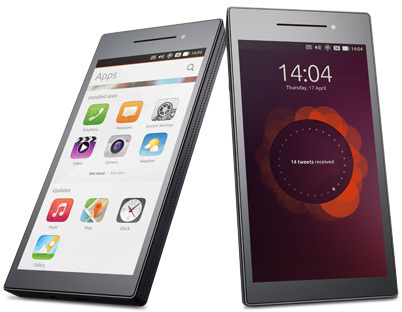 The Ubuntu Software Centre will extend to deliver phone apps, enabling users to download and install applications in seconds. And here’s the really amazing thing: thanks to the Ubuntu SDK, apps can be written to work on all Ubuntu form factors at once. The full Ubuntu SDK is available right now to start building apps, and it’s a very powerful tool. It comes with the latest QtCreator IDE 2.8.1 with improved device detection and management, plus system and service APIs for making use of the sensors and alarms in any handset. The UI Toolkit gives you all the latest Ubuntu designs so you can build your app to fit beautifully with the UI. 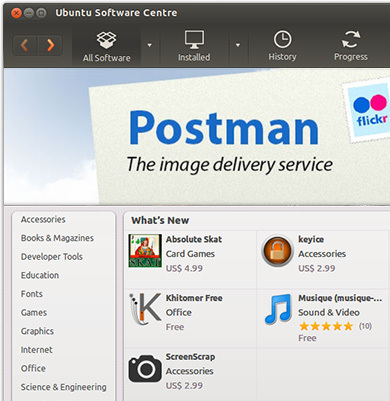 Ubuntu was designed for differentiation from the start, with a flexible framework in place for OEMs and carriers to apply branding and promote services -- without departing from the distinctive Ubuntu visual theme. Developers can use custom scopes to highlight featured content alongside the user’s local results, and services can be integrated directly into the front-end of some core applications. It’s all done at the service layer, so it’s powerful without ever leading to OS fragmentation. 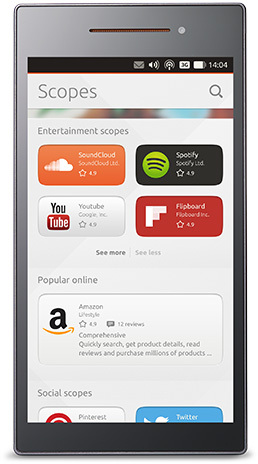 Ubuntu already has the support of some of the world’s biggest mobile operators. Verizon, T-Mobile, EE and many others have signed up to the Carrier Advisory Group to help shape the Ubuntu mobile strategy. Looking for help with your app development? As the experts in mobile Qt development and UX design, ICS provides native app development services and localisation on Qt platforms. ICS’s team of engineers develop elegant solutions for even the most complex requirements and can help bring your application to life on Ubuntu.